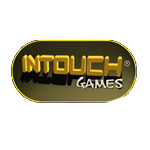 InTouch Games is a UK based company that has been creating casino games and gambling machines for more than 20 years. Their specialty is not mobile casino gambling, but rather electric gambling machines, including touch-screen casino game kiosks and fixed odds betting terminals. Despite their focus on land-based gambling, InTouch recently expanded to the world of phone gambling, and has developed their own mobile phone gambling software. The InTouch Games mobile casino software is extremely versatile, and works on nearly all mobile phones produced during the last ten years, including the Apple iPhone and Google Android powered devices. Along with strong handset compatibility, InTouch Games casinos offer a great selection of mobile casino games. There are currently ten InTouch Games mobile casino games available including slots, blackjack, bingo, roulette, video poker, casino poker, and racing games. Ten games is not a lot, but the variety is impressive, and the quality of the games is quite good. The table below lists all mobile casinos powered by InTouch mobile gambling software. 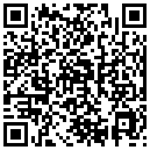 Follow the links to sign up, and to download the software to your mobile phone. One of the few exclusively mobile casinos on the net, mFortune runs on its own software, and offers a small but sweet library of 10 exclusive games, ranging from themed video slots to blackjack, poker, and arcade titles. A 100% welcome bonus and regular reload bonuses help players keep their accounts funded.